Hoop Cheese deep south favorite! This cheese is a fresh farmers cheese. The curds are pressed into a mold (the hoop) to release moisture. Because the cheese has a high moisture content, it spoils quickly. Since the cheese was easy to make, in days gone by, the local grocer typically made the cheese in the back and cut wedges to sell to eagerly awaiting customers. 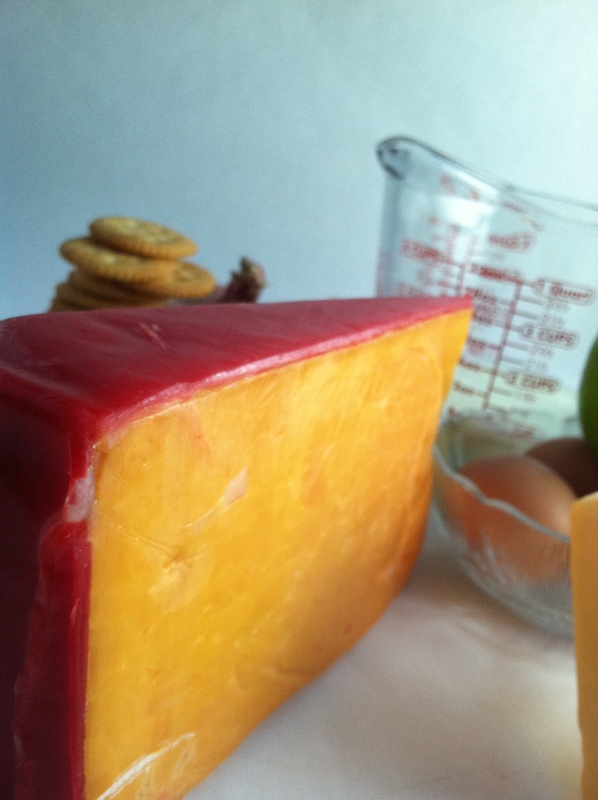 When the cheese is aged to develop some of its mild flavor, it is coated in either red or black wax. The black wax is aged longer and is somewhat sharper than the red wax hoop cheese. Once the waxed wheel had been cut, the cheese needed to be sold and consumed in a couple of weeks. Here is an easy recipe for using hoop cheese with a classic American combination of apples and cheddar. Combine all the ingredients except the apples in a bowl. Add melted butter to bring the mixture to a streusel topping consistency. You may need more or less than 1/2 cup. Adjust accordingly. Peel and slice the apples. Begin by layering the sliced apples in the buttered casserole dish. Alternating layers with apples, then cheese mixture all the way to the top with the final topping being the cheese mixture. Pat it all down into the pan. Place the casserole on a baking sheet and place into a 350° F oven for 30-40 minutes. 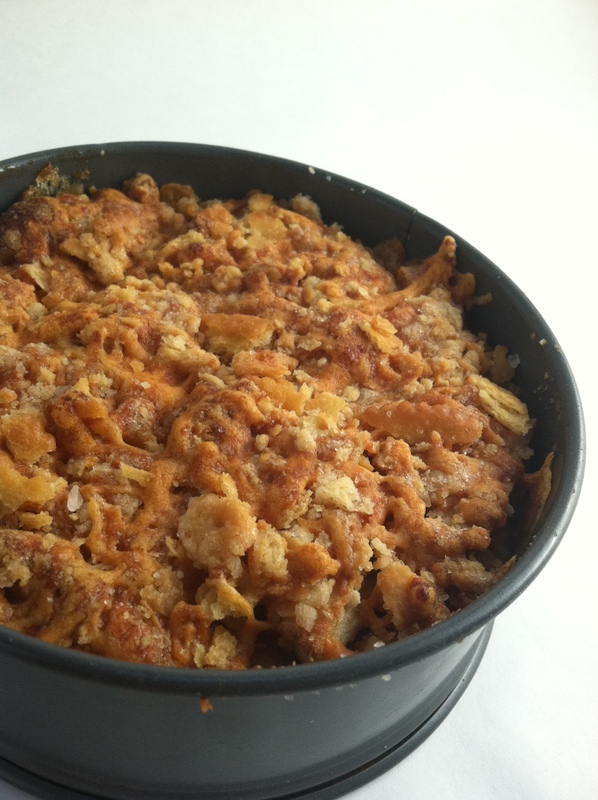 The apple cheese gratin is done when the topping is golden and the casserole is bubbling. Just in case you are in the mood for a savory hoop cheese dish, here is one for a classic southern yellow squash casserole. Slice the squash and onions. Heat a large saute pan over medium heat. Add the oil. Add the onions and squash and saute 3-4 minutes until the vegetables begin to soften and the onions become translucent. Add the garlic and remove the pan from the heat. In a separate bowl, mix the milk with the beaten eggs. Butter the casserole dish, place a layer of squash and onion mixture on the bottom. Cover the squash and onion layer with a layer of cheese and then crackers. Repeat layering to the top of the dish. Before adding the top layers of cheese then crackers, pour the milk and egg mixture over the casserole, shaking gently to allow the mixture to penetrate the casserole. Add the final cheese layer, top with the final cracker layer. Place the casserole on a sheet pan and put it into an oven pre-heated to 350°F. Bake for 40 minutes or until the topping is golden brown and the dish is bubbly. Remove and cool slightly before serving. 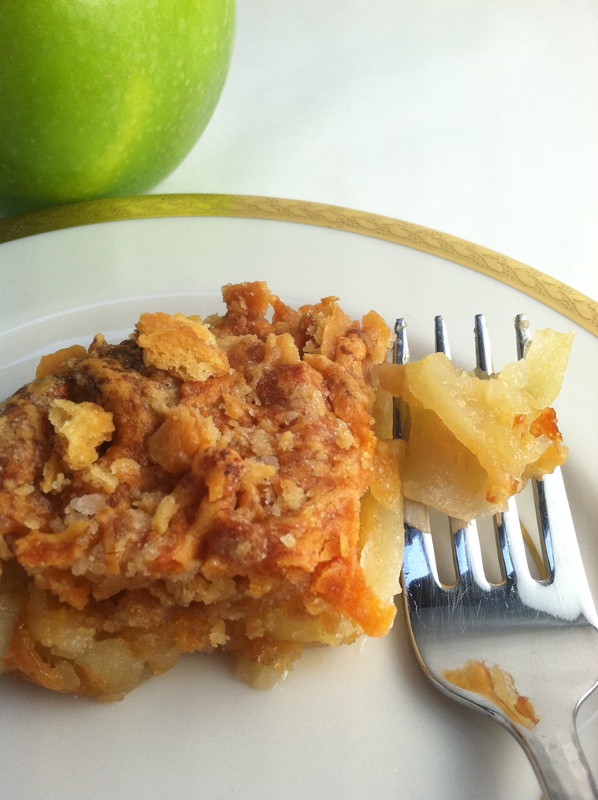 This squash casserole is very popular at holiday time and for pot luck dinners. Best of all, it can be made a day ahead of time. Hoop cheese makes it all so creamy. something to melt the cheese wax in like a stainless bowl or pot. (Please realize this container will only be able to be used for melting wax in the future so choose something you won’t miss using). NOTE: Using cheese wax requires you to understand and practice safety procedures. No kids or pets or distractions around please. Wax fires are very dangerous. Read all precautions! About the cheese press: Go to New England Cheese Making Supply and take a look at all they have to offer. You will find everything, including videos, for learning all about making lots of different kind of cheese. If you know someone who is clever or resourceful, they may be able to make a cheese press for you. If not, have no fear, you can still make cheese. 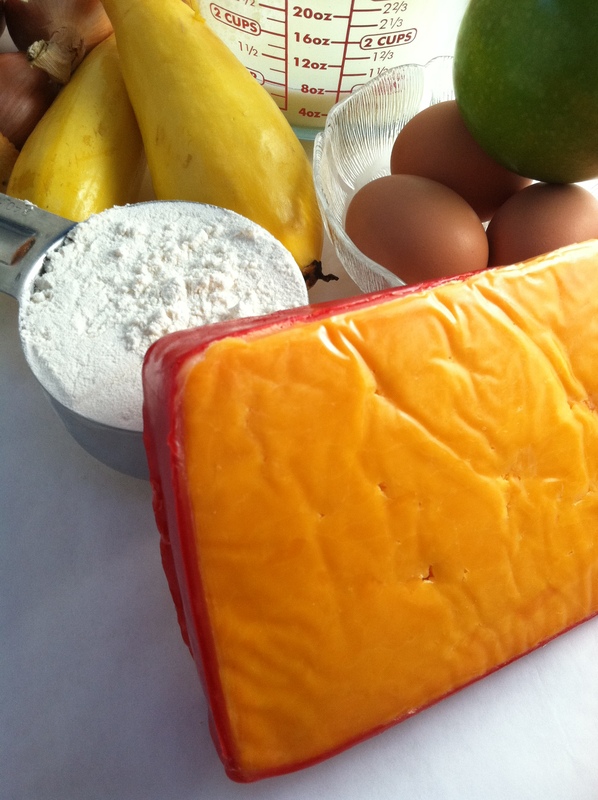 Just buy your press and supplies from New England Cheese Making Supply. Now you have hoop cheese. It can be eaten right away but it will not have a lot of flavor right away. Aging requires the cheese to be coated in wax and aged in the refrigerator. The color added comes from using annatto. To make hoop cheese at home, consult New England Cheese Making Supply for instructions and supplies. If you have a farmers market nearby, someone would have hoop cheese for sale. If you don’t see any, ask for it. If they don’t have any, I’m sure they can point you to someone who does. Local grocers in the south often carry hoop cheese too. Just ask your grocer. Being located in the south, I am not sure of the availability on other areas. Can you find Hoop Cheese in your area? Please share your recipes! Right now I’m heading to the kitchen to fix a snack of Trisket Crackers, a slice of hoop cheese topped with a bread and butter pickle. . . one of my favorite snacks! This entry was posted in Recipes and tagged casserole, casserole dish, cheddar, cheese and apples, fresh farmers cheese, granny smith apples, holiday side dishes, hoop cheese, making hoop cheese, Ritz Crackers, yellow squash casserole. Bookmark the permalink.